So the late Richard John Neuhaus wasn’t Anglican. All the better for him, you say? Maybe, but that isn’t my point. My point is the exquisite relevance of the book he left as his last. The name is American Babylon: Notes of a Christian Exile. Basic Book brings it out this April. It deserves extensive readership and appreciation. Ever feel like an exile? You’re in excellent company – and it’s OK. Sure we’re bone tired. Sure we feel astray and abandoned. That’s what it means to live Today. Jesus is coming , nevertheless – if not Today, soon enough to accomplish the sovereign purposes of God. 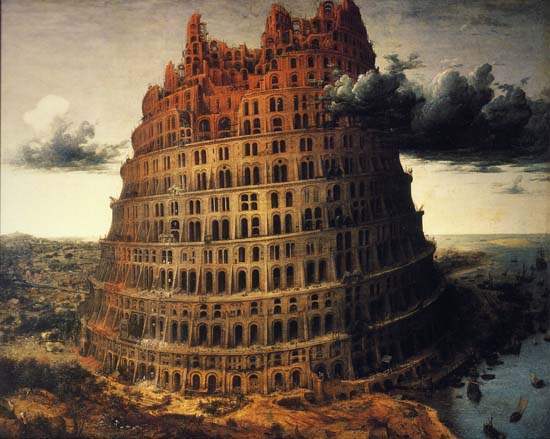 “Babylon,” affirms Fr. Neuhaus, who died in January, “is not forever.” Exile without end, Amen, isn’t what it’s all about, and never has been. “The proposal here,” Fr. Neuhaus says, in summation, “ is that the whole creation groans for the glory that is to be revealed. With the resurrection of Jesus, a genuinely new world order has been inaugurated, and we are on the way, out from exile and on the pilgrim way toward the City of God…. We are moving toward our destination, and our destination is moving toward us.” It doesn’t get better than that. That Fr. Neuhaus, in his last book, would seek to explain why Christians feel like exiles could hardly be called the stunning surprise of our times. The major Neuhaus oeuvre, starting with The Naked Public Square, could be called a plucky yet entirely rational attempt to make sense of modern confusions as to what God expects and what, human expectations notwithstanding, is going to happen. The book is about life in a place that’s neither the kingdom of heaven nor the off ramp to hell; rather, a special place crafted by God for the special needs of His special people. The lot of God’s people, it seems, is to live in successive Babylons: citizens of a world designed for their accommodation and yet somehow not quite… right. There was the original Babylon, where for a time the Jews languished in captivity. There is the present Babylon, the one Fr. Neuhaus refers to as “American.” For all its religious distinctives and large worshipping population, the America of 2009 often feels like a place of exile. Which isn’t to call the world evil, rotten, debased, horrible, a total mess, because, on any proper Christian showing, it isn’t that at all. The earthly city has its moments, wherein the presence of God may be discerned. It is merely that such moments fail to cancel out the sense, the understanding, of our limitedness, our provisionality, our inability to realize that, by divine design, earth isn’t the last stop on the bus line. We’re to wait and see – ever hopeful. En route to the finish, he accomplishes some useful tasks that feed into his explanatory purposes. He shows how the idea of moral progress in human affairs has taken a back seat to the loose and callous formulations of people like Princeton University’s Peter Singer, who sees nothing wrong with phasing out, so to speak, babies who appear likely to burden the larger society. Fr. Neuhaus sees atheists as capable of citizenship in a republic generally sympathetic to God; he simply doesn’t think them qualified for good citizenship, as they can’t give any persuasive account of why a regime of liberal democracy and republican self-governance is worthy of respect and emulation. No one thought longer, and more constructively, than Richard John Neuhaus concerning the relationship between government and religion. He wasn’t for baptizing the American founding in evangelical holy water, nor was he for playing down the founders’ genuine appreciation of religion. That public square of which he wrote so eloquently for so long need not bristle with crucifixes in order to be a place where God receives due recognition of His authority. Tributes to Fr. Neuhaus since his death have framed his long career – from civil-rights-marching Lutheran pastor to Roman Catholic promoter of orthodox ecumenism – as a career marked by persistent witness to the urgency of informed religious understanding. No religious barriers there: no walling off of Anglicans or anyone else from a Christian sheepfold hungering for redemption. We’re all in this together. May we be together still when comes the Jubilee – and the memories of exile disappear like dust balls into the Divine DustBuster. William Murchison is an author and journalist, living in Dallas, Texas.